Although our clients’ reliance and commendations go the major way in authenticating our credibility, we take pride in having been a step-ahead with our recognition, certifications and affiliations. International Manpower Resources Private limited is registered with the Ministry of External Affairs wide registration number B-0131/Del/Com/1000+/5/3168/91 valid upto 31st December, 2021 for recruitment of Indian Manpower for Overseas Projects worldwide. International Manpower Resources Private Limited is providing Indian Manpower, Recruitment, Consultancy and Services for clients abroad and ISO 9001:2008 certified organization by URS - UKAS. International Manpower Resources Private Limited is D U N S registered company. 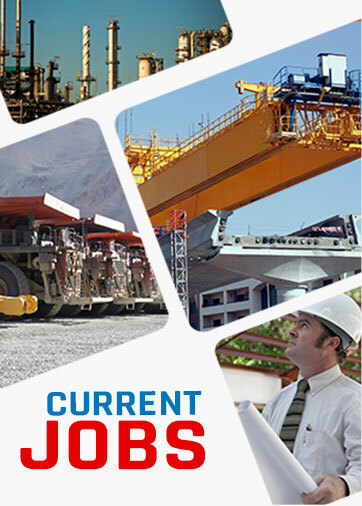 International Manpower Resources Private Limited is corporate member of this presigious organization. The Associated Chambers of Commerce and Industry of India (ASSOCHAM) , India's premier apex chamber covers a membership of over 4 lakh companies and professionals across the country. It was established in 1920 by promoter chambers, representing all regions of India. International Manpower Resources Private limited is corporate member of the confedration. The Confederation of Indian Industry (CII), works to create and sustain an environment conducive to the growth of industry in India, partnering industry and government alike through advisory and consultative processes. International Manpower Resources PL is the corporate member of AICC .Established in 1968,the Indo-American Chamber of Commerce(IACC) is a non-government, industry led and industry-managed organization, playing a proactive role in Indias development process and serves as a much needed link between the business communities of India and the United States of America. IACC is the only bilateral Chamber of Commerce in India, which is committed to development of Indo-US business and trade relations. International Manpower Resources Private Limited is corporate member of IGCC. The Indo-German Chamber of Commerce has branch offices in Delhi, Kolkata, Chennai, Bangalore, Pune and a liaison office in Düsseldorf. In addition to this, IGCC has established 9 India-Desks in various bi-national Chambers of Commerce abroad, 18 different Chambers of Commerce & Industry in Germany and has one representative in Brussels. International Manpower Resources Private Limited is the member of EPCOM . The Export Promotion Council of Indian Manpower (EPCOM) will strive to promote high standards of professionalism among its members. In furtherance of this aim, EPCOM will adopt a Code of Ethics, and a set of Professional Practice Guidelines that will reflect important developments in the profession and the business environment. International Manpower Resources Private Limited is leading recruitment company in India is corporate member oo NAPS. . As the personnel services profession grew, the need for national representation became more evident. The National Employment Association (NEA) was created from two older organizations, laying the cornerstone for what would become the National Association of Personnel Consultants (NAPC), then the National Association of Personnel Services (NAPS). International Manpower Resources PL is corporate member of PHD.PHD Chamber of Commerce and Industry, established in 1905, is a proactive and dynamic multi-State apex organisation working at the grass-root level and with strong national and international linkages. The Chamber acts as a catalyst in the promotion of industry, trade and entrepreneurship. International Manpower Resources PL is registered Indian recruitment company for overseas projects is the corporate member of Recruitment and Consulting Services Associations. The RCSA is the leading industry and professional body for the recruitment and the human resources services sector in Australia and New Zealand.